QUIET PHILLIPS LAKE COMMUNITY WITH EASY ACCESS TO ALL BASE. LARGE FENCED IN BACKYARD. SPACIOUS 4 BEDROOM WITH THE POTENTIAL TO CONVERT TO 5 BEDROOMS. MASTER HAS SITTING AREA. Ready to visit 2 Lake Ovide? Request a free property tour! Send me more information about the listing at 2 Lake Ovide, Hampton, VA 23669, MLS# 10240259. 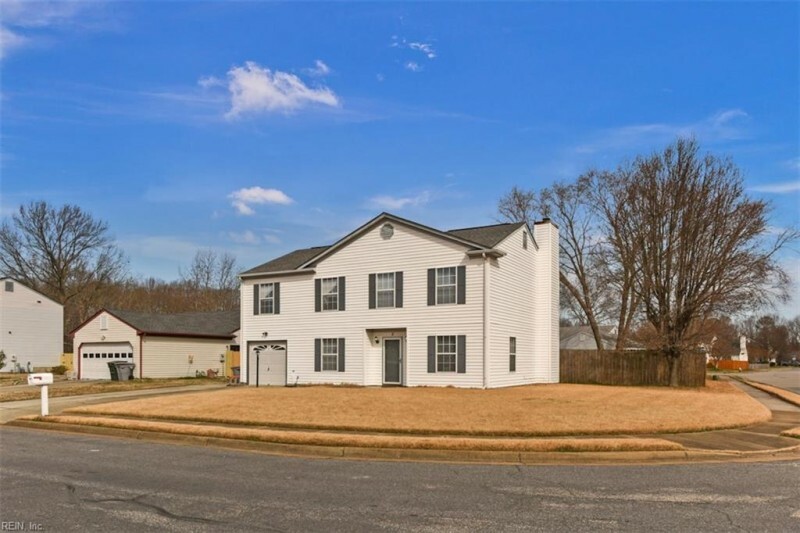 This 4 bedroom, 3 bathroom home located at 2 Lake Ovide, Hampton, VA 23669 has approximately 2,317 square feet. It is currently listed for $225,000 and has a price per sqft of $9,711. This home is currently Active under the MLS#: 10240259. This listing is provided by Better Homes&Gardens R.E. Native American Grp. 2 Lake Ovide Court, Hampton was built in 1991. It has Garage Att 1 Car, Off Street, Driveway Spc parking.The kitchen includes Dishwasher, Disposal, Elec Range, Refrigerator, Washer Hookup. 2 Lake Ovide is part of the Phillips Lake neighborhood located in 23669.